The Palo Alto Firewall has released an API, that has some (not all) commands to issue through external programmable interface. This API is based on XML and makes it possible to issue specific commands with that you can check just for example some states of the firewall. Through the API it possible to change the settings on the actual configuration or to check the actual state of its complicated processing. The main reason I would suggest to use it to check the operational states of the firewall that cant be monitored with standard snmp and realise it in time if something changes in the wrong direction or if something not expected happens. – and analysing millions of logs with a strong multicore computer. Good news is that there are counters for almost every step of the packet/session/application processing in a Palo Alto firewall, like in Cisco ASA. 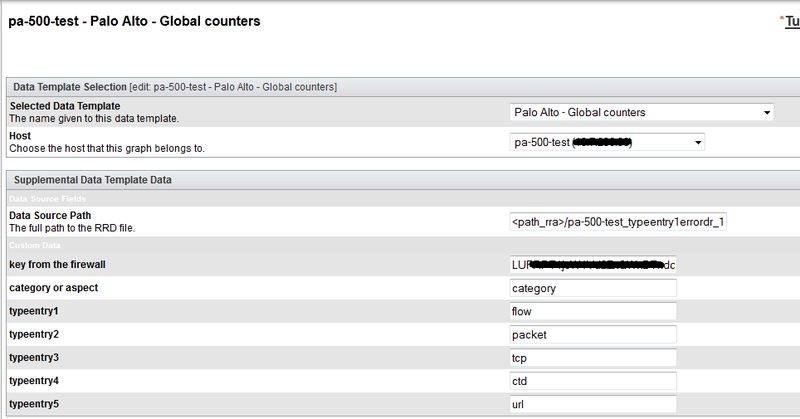 In Cisco Firewall it is called ASP (Accelerated Security Path) and in Palo Alto it is called just global counter. The bad news is that these counters are nowhere correctly documented and for a lot of them it is hard to find out the meaning of the numbers that just growing and growing. With the known, documented counters you can identify many issues that maybe caused by wrong network configuration or wrong setup of clients, devices or by real malicious traffic. This counters in an Application Firewall can inform you about an internal “problem” in the firewall too, that you would realise only if the first users call you. For example after a software upgrade or some database update – like URL category database update or antivirus database update or IPS signature database update or update for heuristical checks – you may see that one or more drop or error counters for IPS, APP FW, Antivirus engine starts to increase. If any from them, I mean the error or drop counters start to increase rapidly you can catch the problem easily, you dont have to collect tousand of logs for that, just check the counters for continuous high delta values. Lets take an example. If an antivirus engine drop or error values increase in some minutes from 100 to 2000 than you can catch this anomaly just in time and start investigate the issue rapidly. The problem is with this counter in Palo Alto Firewall that it is too much to monitor. The number of the counters in the current version (6) is about 1200 counters :-). But you should only keep your eyes on those counters that are created for the features you currently use. For example if you dont have IPSec VPN or SSL VPN or SSL Interception then you can ignore the counters for those processes. But if you use DoS Protection, that can be monitored too, you can catch it how your drops starts to increase and you can react in time. You can then start maybe just the fine-tunning of your DOS Protection feature or start analyse the sources that trigger the DoS. The monitoring program based on cacti and works with a simple perl script. How it really works describes the following picture. The script collects the required counters we want to monitor. We can set the category or aspect and the category or aspect types in cacti as a custom data source. For the login you can generate a key in the firewall (go to the link https://hostname/api/?type=keygen&user=username&password=password). 3. The scripts loads the output, it is an xml content. 4. The scripts searches through the xml all the required counters (XML::LibXML module used) and maybe summarises the different counters. 6. The cacti takes it in rrd and makes what it has to, like for the more million installations in the world, creates a graph. Here are the required importable xml file for cacti and the perl scripts. Please ask for help if you are not expert on cacti on cacti forum. There are one more reason that made me create an XML API based monitoring. The reason is the vlan traffic monitoring with xml api, since it is not reachable in the current SNMP MIB. I think all the counters should be reachable via SNMP, but the neither Cisco nor Palo Alto nor the other Security Companies makes any development on SNMP as I feel. Even if that could be so simple. In Palo Alto the Interfaces has another counters as a Cisco ASA it is not as granular as Cisco but has more built in security counters. Informational counters…I dont monitor it. This groups comes from me and I use it in the script. The uniqe counters to monitor is too much. for example the attack counters will be summarized. If it start to increase it must be checked with counter started to increase and analyse why. Next time I will take my free time to get better know Graph mit Yed under linux (or windows). Look back in November. It generates only a keycode…what do you expect? Is there anywhere I can download this now the Google Code downloads aren’t available? Thanks! I would very much like these templates too as they are just what I am looking for.